Scotland's largest teaching union has said an inquiry into abuse at a former residential school should not unfairly damage innocent staff. The warning from the Educational Institute of Scotland (EIS) came ahead of the imminent publication of the Kerelaw Independent Inquiry report. The Kerelaw Residential Unit in Stevenson, Ayrshire, was closed in 2006 following a police investigation. The same year two male employees were found guilty of abusing children. The Scottish Government and Glasgow City Council launched an independent inquiry into the circumstances of the abuse which was due to report at the end of 2008. EIS general secretary Ronnie Smith said it was vital that innocent teachers were "treated fairly" during the inquiry process. He said: "No pupil should ever have to suffer abuse in school. "It is right that an independent enquiry was established so that lessons can be learned to help prevent similar incidents in the future. "However, caution must be exercised to ensure that innocent individuals - those teachers who played no part in, and had no knowledge of the abusive behaviour of others - can continue teaching without having their professional reputation tainted by their past association with Kerelaw. "Innocence should always be presumed unless and until guilt is proven beyond reasonable doubt." 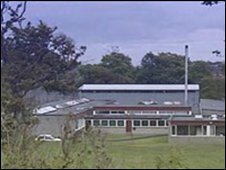 Former members of staff and pupils at Kerelaw will have their anonymity protected when the independent inquiry report is published. A spokesman for Glasgow City Council said: "The council is committed to ensuring that all its employees are treated with fairness and respect, both now and in the future."